The second home to many dance music lovers for the past 25 years, Zouk is known as the homeground for most young adults in Singapore. The Zouk Run is primed as a concept to reach out to past and present clubbers, as well as younger audiences that have yet to experience the magic of #ZoukAtJiakKim. The event is a celebratory run that aims to bring together generations of dance music lovers to commemorate the Jiak Kim warehouse as they stride forward to the club’s future at Clarke Quay. Open to all ages, the 3km fun run will take route around the Jiak Kim vicinity in the evening of 5th November. Upon every registration, all participants will be entitled to a themed race pack of choice that comes with a specially designed T-shirt and a special party prop. The choices of themes include Mambo King, Podium Queen, The Shuffler, The Musichead. 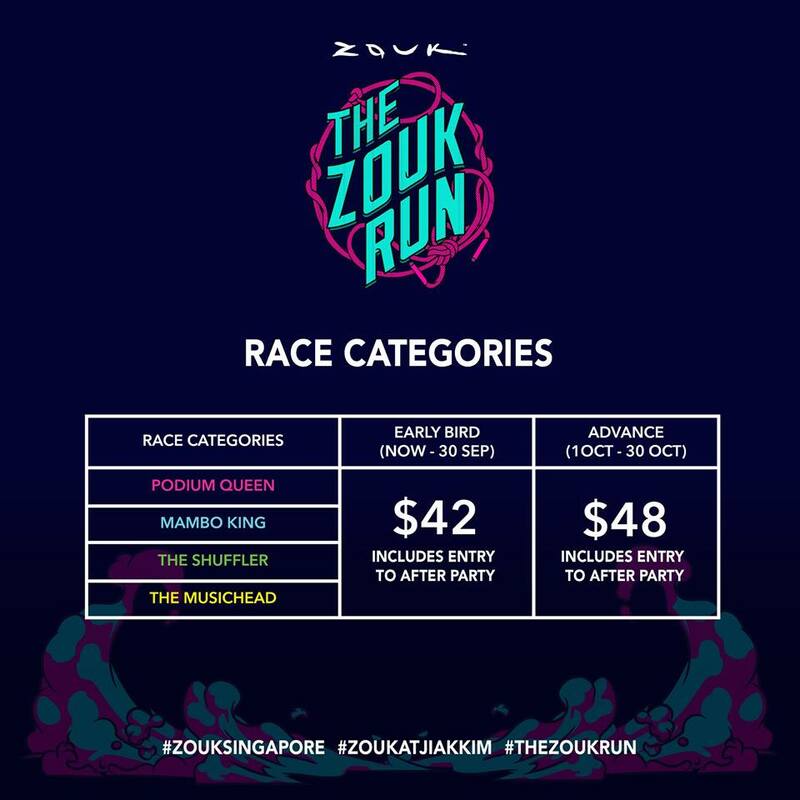 “This is the first run that we have ever organized and we are extremely excited about this,” says Sofie Chandra, Head of Marketing and Events, Zouk Consulting Pte Ltd.